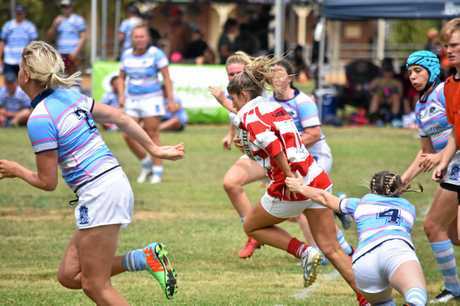 Rugby sevens: With a team mostly made up of first- timers, St George's Frillneck Fillies put on a performance to be proud of at Saturday's Roma Rugby Sevens. 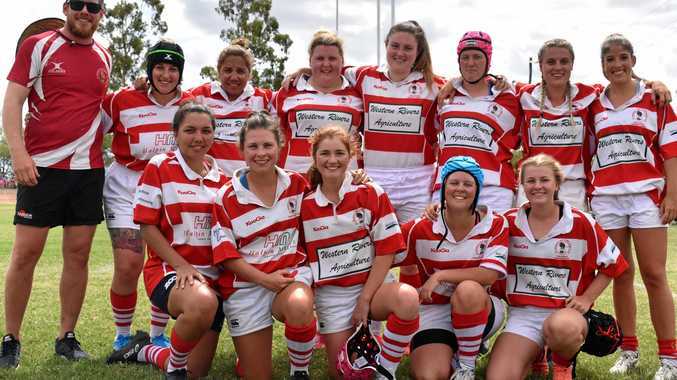 The Frillie Fillies made it to the battle for the Bowl, and while they were defeated by the Milton Pink Bats 39-0, club president Ben Gardiner said the girls and the club had plenty to be proud of. "It was the first time playing rugby for 95per cent of them, so we could not be prouder of them. Gardiner said the team knew they went well, and while they were sore and sorry the day after, they'll be back into it at training this week. 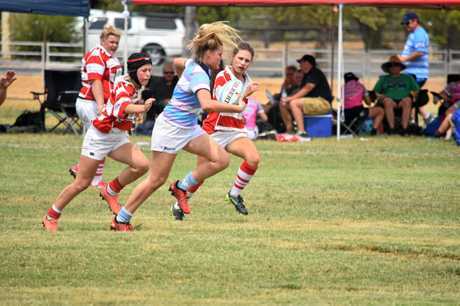 St George girls fronted up another half a team for a barbarian-type group with Gympie Hammerheads girls, and Gardiner said the club had been impressed with their level of football as well. "We split our side between those teams and there were some really good players in both of those. "Across the board, the girls really stood up and showed what it was like to be a Frillneck. "There was some outstanding players in those teams and some really surprised us. 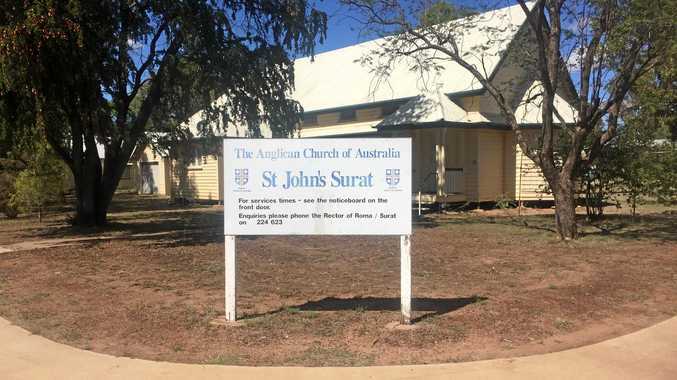 Gardiner said the StGeorge boys who had formed the Swamp Donkeys also had a lot to be proud of, making it to the Plate final, playing a local derby match against Roma's Scrum & Coke. While the northern neighbours took home the win 19-0, the Frillies men put on some good rugby on the day. "We were a bit surprised when the league side beat us, but it was all fun. "Looking ahead, it'll be business as usual for the blokes. 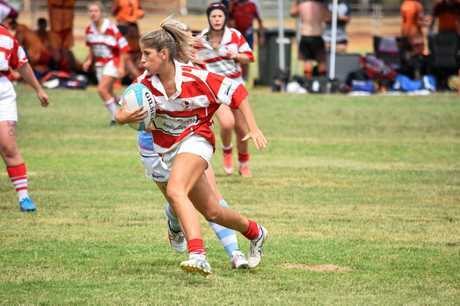 There are plenty of options for the Fillies, with the side looking to host a Darling Downs Ladies Sevens competition at some point throughout the year. Check out some of the action shots from the day inside on Page 23.